bookings: voltagerecordings@o2.pl BIO: Owner of Voltage Recordings. Satan started his dj'ing career in 2005 when he moved to England and discovered sounds of drum and bass. He was taught the art of mixing by DJ AMC. Long hours behind turntables and great help from AMC resulted in creating his own style of mixing. Very soon he was booked to play at many events around England. He started a radio show called ASG Radio with AMC and Innerlevel, where they were giving regular shows inviting local djs to play. 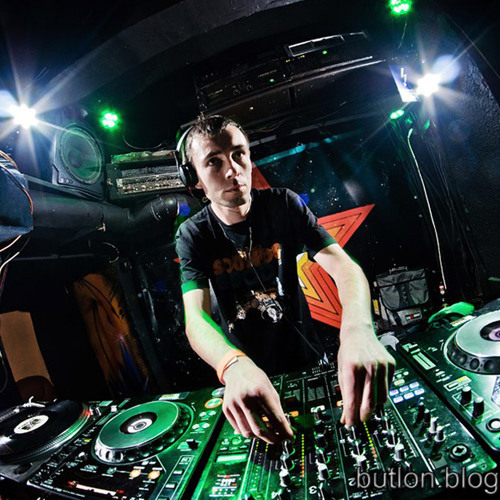 In 2011 Satan came back to Poland to rise up drum and bass scene in his native country, organising gigs and playing out in major Polish cities. In 2012 he played at the bigest d'n'b festival in Europe - Let It Roll. In 2013 he started up his own label Voltage Recordings. Satan played at houndreds of gigs, radio shows and festivals alongside djs like Audio, Ed Rush&Optical, Limewax, The Panacea, Aphrodite, Jade, Robyn Chaos, Counterstrike, The Sect, B-Complex, London Electricity and many more. You can always expect dark d'n'b set full of double drops when you invite Satan to play.